For a free market system to function properly, government must at the very least step in to enforce laws against false advertising. 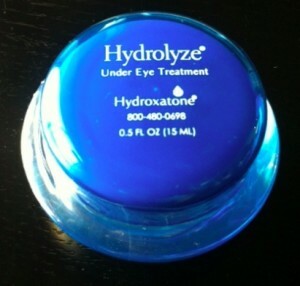 This is why I have been so disappointed to repeatedly see a blatantly false TV commercial for "Hydrolyze", a wrinkle cream for the under eye region. I can't vouch for the usefulness of the product. For all I know the product does everything they say it does, but the tactics used to sell this product are definitely dishonest. This commercial airs each time with a voice-over saying that "the first 100 callers" get it free or something, and then proceeds to show a counter in the bottom left corner, supposedly counting how many people have called in already. As the commercial runs, the number increases by seemingly random increments, thus attempting to provoke a sense of urgency among viewers. This high pressure sales tactic is, to use the proper economics term, a bunch of crap. Obviously it would be damn near impossible, or at least prohibitively costly for the Hydrolyze call centers to relay a count of the number of calls occurring after every airing of the commercial to each television station so that, in real time, the counter shown on the commercial could be updated while airing. I hope nobody falls for this. How stupid do the think we are? To quote comedian Lewis Black, "It's as if they believe that we fell asleep on a nuclear reactor, and our brains had melted, and we are now nothing more than meat with eyes." This high pressure sales tactic is, to use the proper economics term, a bunch of crap. This is still going on. I found your post when I saw the commercial for the first time and googled to see if anyone had the same reaction I did. Terribly misleading ad.